Are you younger than 33 yrs, Czech or Slovak nationality, and are currently enrolled in a doctorate cycle (or have defended PhD dissertation in 2018 or 2019)? 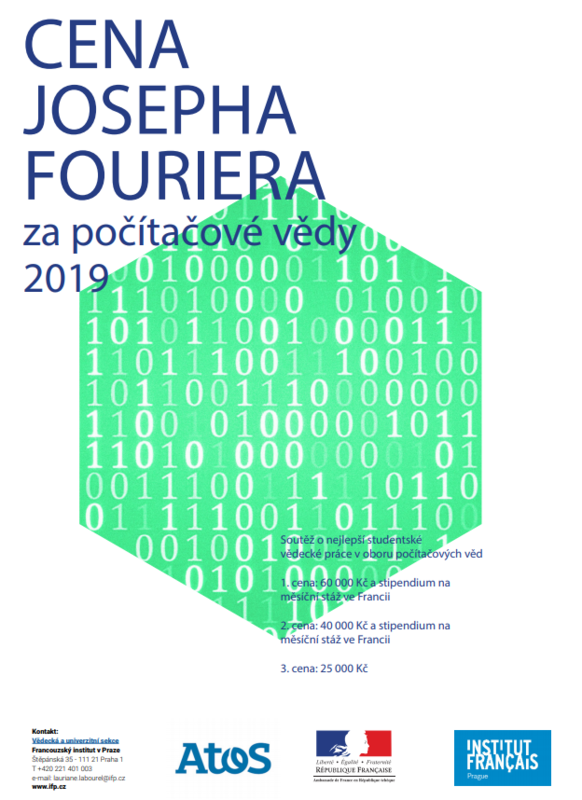 Nominate your PhD research for the prestigious Joseph Fourier Prize organized by the French Embassy. You can win up to 60 000 CZK and a scholarship for a one-month internship in France of your choice. Michal Čáp from our department won a special award Algorithms for "Multi-Robot Trajectory Planning in Well-formed Infrastructures"! Submit your application to Patrik Mottl mottlpat@fel.cvut.cz before 29. 3. 2019. Find out more info about the rules.